Twilight/Nocturnal explores the immersive and experiential nature of place. 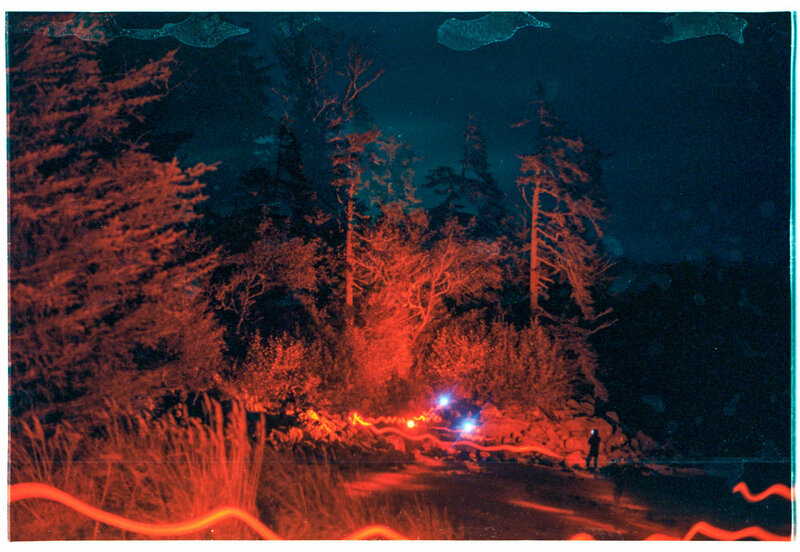 The collection is an exploration of visual distortion and manipulation in low-light wilderness environments. 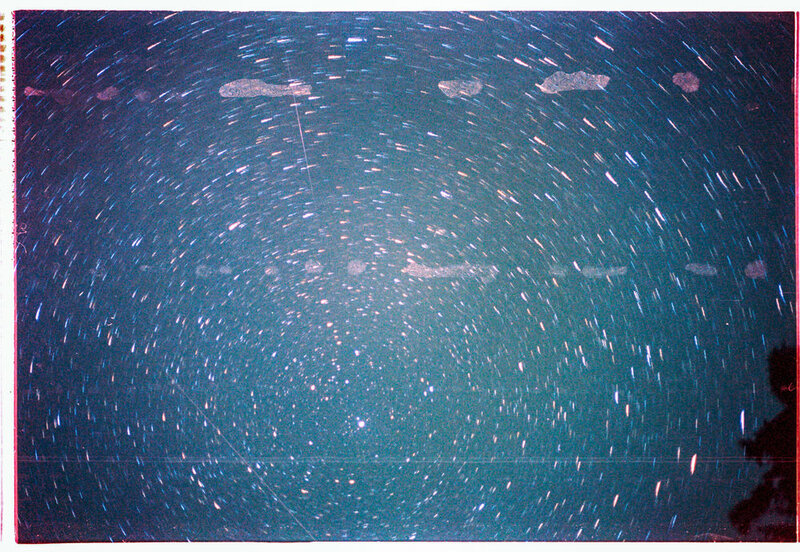 Communicating time, motion, and interaction, seven 35mm photographs engage the personal experience of and placement inside of natural space. 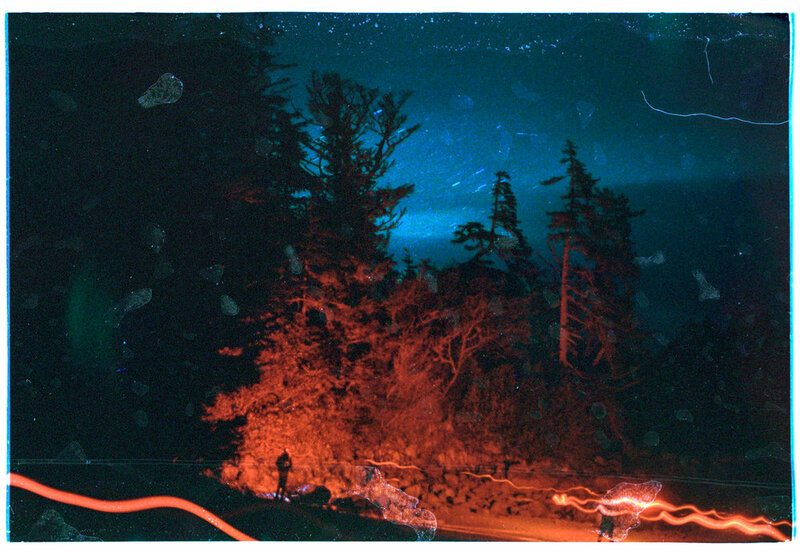 Twilight/Nocturnal consists of seven multi-layered, extended exposure photographs shot on 400 and 800 speed 35mm Kodak film over the course of one month in Southeast, Alaska. 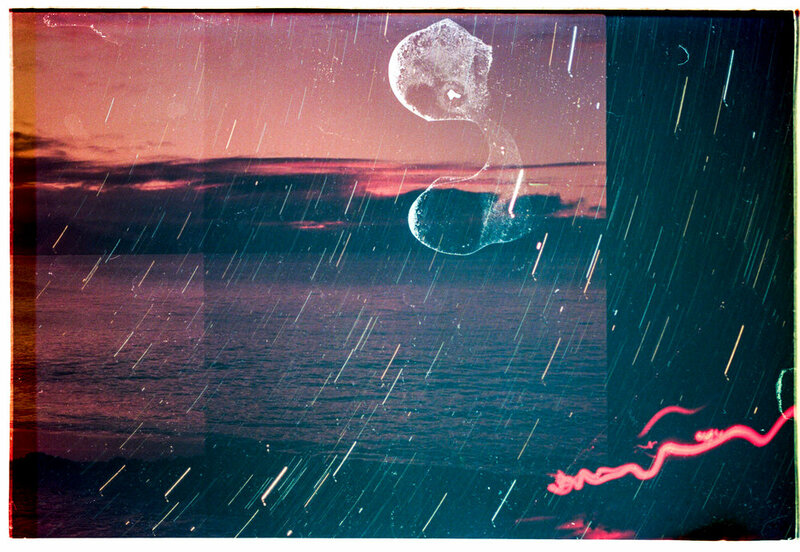 Jesse Hughey is a multi-disciplinary artist and musician living in Seattle Washington.